If you’re thinking about adding batt insulation to your home in Austin, Texas, consider having a professional company take care of the installation for you to ensure it’s done right. 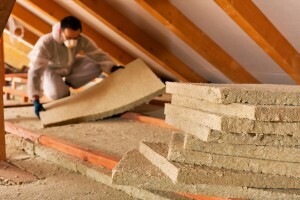 When insulation is not installed correctly, you may not reap the full benefits that it can provide. At 31-W Insulation, our specialists are knowledgeable about everything that has to do with properly insulating your home. We can assess your home’s current insulation and provide recommendations on how much material we will need to install and where. Commitment to customer service – We use only our own employees – never subcontractors – to ensure our high standards of service are met. This has earned us recognition in the industry, including an A+ rating from the Better Business Bureau. Top-of-the-line products – Our batt insulation comes from such trusted brands as Owens Corning® and CertainTeed, manufacturers that are known for producing effective and lasting products. Convenient services – We’ll provide a free, in-home consultation to assess your insulation needs and provide a no-obligation estimate. Additionally, our installation services can typically be completed within a single day so you can start enjoying the benefits of proper insulation quickly. To learn more about why you should choose 31-W Insulation to install new batt insulation in your Austin, TX, home, contact us today.